Location: 7 Airline Road, Cargo Agents Building E, Changi Airfreight Centre, Singapore 819834. 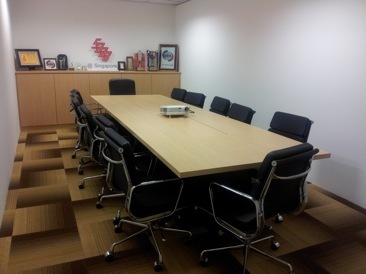 We are pleased to announce that the conference and meeting rooms at SAAA@Singapore’s office, as well as training centre, are currently open for rental. Some of the amenities provided are the class room paraphernalia, printing services, pantry area and free flow of liquid beverages. All above rates quoted are subjected to 7% goods and services tax. Availability is subject to prior booking and is based on a first-come-first-serve basis. Presenters who require visual materials have no reason to fear as our venue also encompasses a free projector at no additional charge. This ensures that classes which utilize video screening are of the highest quality. Our facility comes fully equipped with a pantry area where food can be placed and participants can mingle around freely. Feeling thirsty? Fret not as our free flow of drinks is guaranteed to quench your thirst. Our facility provides all guests with a free flow of coffee, tea and hot and cold water. This ensures that the customers will be able to get the best value for their money when they visit our premises. 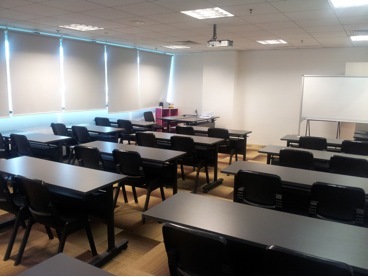 Our facility is fully equipped with centralised air conditioning and is able to support a large number of people. Need to print documents on short notice? Our facility is able to accommodate with our free printing services which ensures that class material are ready to be disseminated. However, this is limited to less than 10 pages. 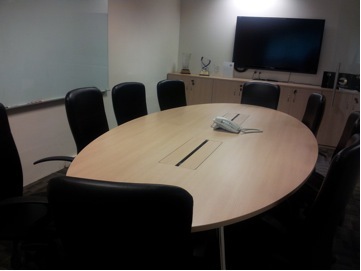 For bookings and more information, please contact admin@saaa.org.sg or call 6545 5006.